I finished my skirt for the Curlypops Make It in May - Skirt sew-along. Using Nicole Mallalieu's A-line skirt pattern and some of the same denim I used to make Liam's jeans, I kept this skirt plain so that it goes with more things in my wardrobe. Nikki's pattern comes with some great instructions to insert an invisible zip (using an invisible zipper foot - if you don't have one you should get one), and the yoke makes for a tidy skirt with no "popping-out" facings as well as helping with that not-so-flat-these-days tummy. I made the skirt up in the original length and then chopped 13cm from the bottom, before giving it a 2 inch hem. This brought the skirt up to knee length which I think is probably a bit more suitable for running around with the kids. 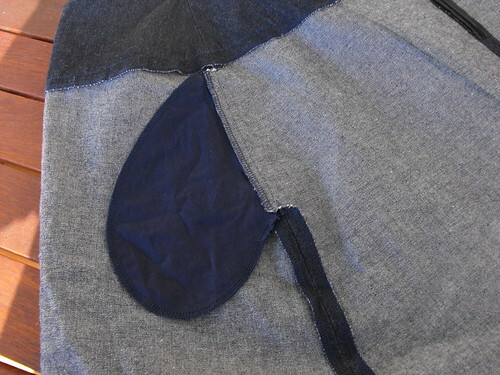 In addition to changing the length, I added pockets to the skirt. 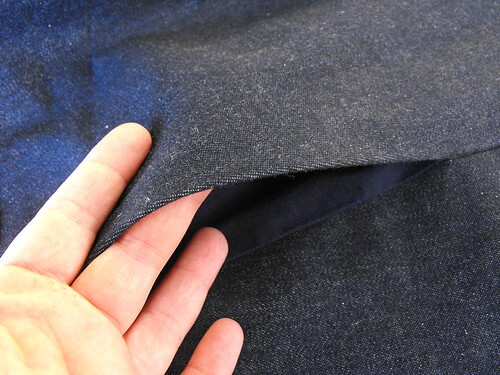 I grabbed a pocket from another pattern and put the pockets into the side-seam. It frustrates me sometimes that I have nowhere to put my keys, especially when out and about with the kids and it isn't always practical to carry a bag. 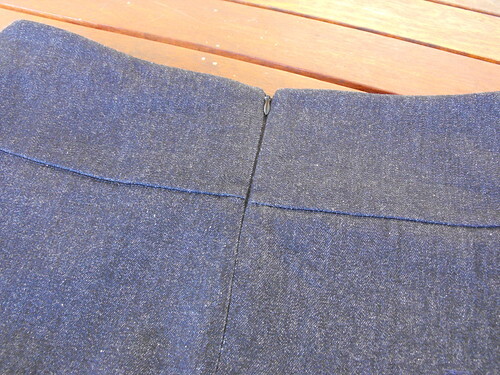 These pockets are pretty discrete, I made them in navy homespun, and nothing falls out of them when I sit down, so I am pretty happy with them. Have you made anything for yourself lately? What about a skirt? 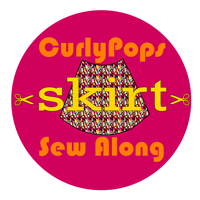 There's still time to join in if you want to make yourself a skirt during the month of May. wow, it's gorgeous. And beautifully finished too. well done you! Carmel, I must be channeling you, because today I bought denim with the plan to make - you guessed it - a knee-length skirt with added pockets from Nikki's pattern. Seeing your wonderful version makes me even more keen. Love it! So practical for everyday wear. 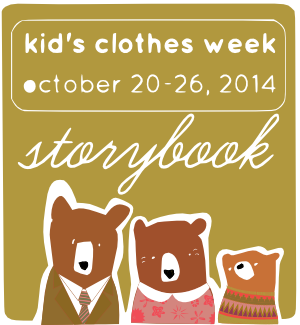 Thanks so much for joining in! Love it. I'm still going with mine... which is utterly ridiculous.